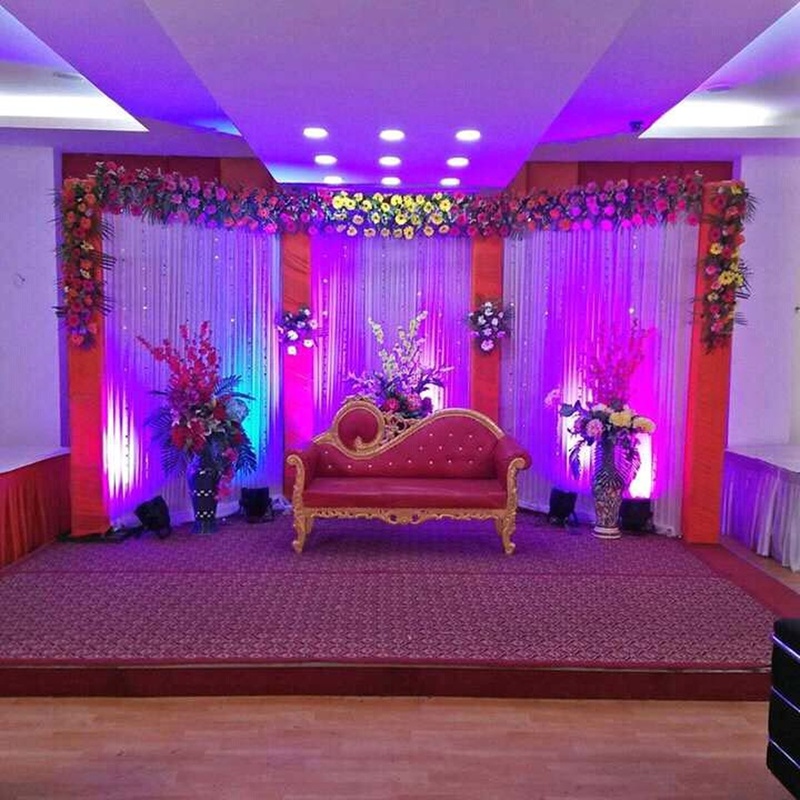 Star Banquets, Gurgaon, Delhi has a genuine endeavour to make your weddings, engagements, ring or sangeet ceremonies a memorable journey. It has a lush green lawn which can be combined with hall to accommodate a large gathering. Star Banquet Sec 9 Gurgaon serves mouthwatering multi-cuisine delicacies to choose from in both vegetarian and non-vegetarian food. The decor team takes care of the decoration for your big day. It serves alcohol and also allows you to get it from outside. Star Banquet Gurgaon offers ample car parking space and valet parking service to your guests for your convenience. It has two-time slots you can choose the one which suits you the best. It has multiple party areas which makes it easy to have different functions at the same venue. Star Banquets, Gurgaon, Delhi has luxurious rooms for the guests which gives them a comfortable stay. The Star Banquets located in Gurgaon, Delhi has Wedding Hotels, Banquet Halls and Wedding Lawns. Hall + Lawn can accommodate upto 250 guests in seating and 400 guests in floating. Hall 3 can accommodate upto 50 guests in seating and 100 guests in floating. Hall 1 can accommodate upto 200 guests in seating and 300 guests in floating. 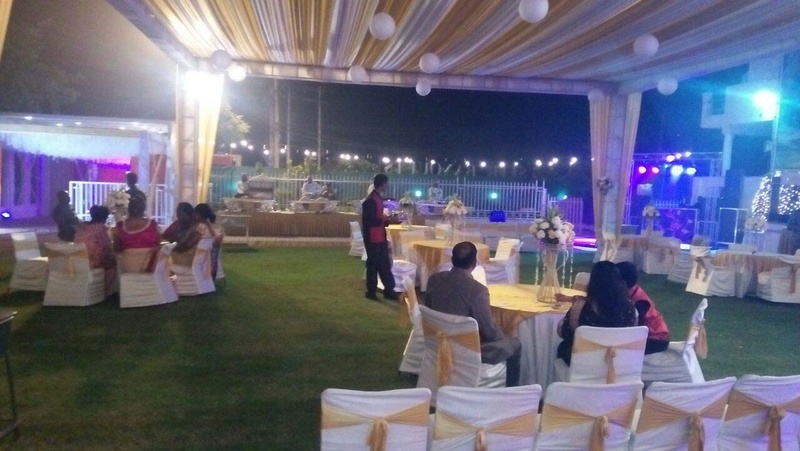 Lawn can accommodate upto 50 guests in seating and 100 guests in floating. Hall 2 can accommodate upto 125 guests in seating and 200 guests in floating. Vegetarian and Non Vegetarian food is served at this venue. Features of this wedding venues are : Food provided by the venue , Non-Veg allowed at the venue , Alcohol allowed at the venue , Outside alcohol allowed at the venue , Music allowed late , Halls are air Conditioned , Ample parking , Baarat allowed , Hawan allowed , Overnight wedding allowed , Decor provided by the venue , Packages starts at Rs 1100 per plate for vegetarian menu and at Rs 1150 for non veg menu. Decoration starts at Rs 20000.